This month we have been sending out reminders on HR best practices: reviewing and updating your employment posters and making sure your employee handbook is current. Our last New Year’s HR resolution is to recommend you conduct an HR audit. An HR audit is simply a review of processes and activities to ensure you are working efficiently, effectively, and in a compliant manner. There are probably many priorities you are dealing with right now. You have probably just wrapped up your annual enrollment and are already working on performance reviews and merit increases. While you may not be able to dive into an audit until the second quarter, getting your plan together now can help you get started quickly once the end-of-the-year / beginning-of-the-year activities subside. Are there ways I solve similar problems in other aspects of my life that I can apply here? Where do I spend most of my time? Does it add value? Do other perceive this work as meaningful? For any given process, if I review the number of steps involved, can I combine or reduce some? What else could I do if some of these other tasks took less time? How should you go about reviewing your HR processes? Break it down…start with employee relations, then work on training, recruitment, compensation, etc. If you cannot conduct a complete audit at once, select a function and work on it over the month. The following month move on to the next one. Document the steps involved in each task and then see what can be reduced or combined. Pro tip: turn your documentation into a policy and procedure, so that if you need to train someone else to back you up, you have it all documented. Get some third-party input. You can have an HR consultant spend some time performing the review for you. The value of this approach is that you can get it done faster, and sometimes a fresh set of eyes can be valuable in providing insights into ways to improve. You’ll also get a full report that you can use as your roadmap for process improvement and getting compliant. If you have a transition in your HR function, an HR audit can help the new HR leader set priorities. If you expect new processes and systems to be implemented, reviewing processes and tasks can help make the implementation run more smoothly and give you a clearer idea of requirements and outcomes. If there will be a change in key stakeholders…if there is an acquisition or divestiture, new leadership, or large groups of new employees, it might be a good time to conduct a review. Human Resources audits are one of our specialties. We have the tools to conduct a thorough analysis and provide recommendations to be more compliant and more effective and efficient. 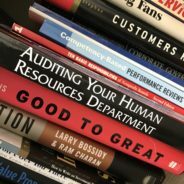 If you need help starting your HR audit or have or other Human Resources consulting needs, contact us and check out our blog for more helpful resources.